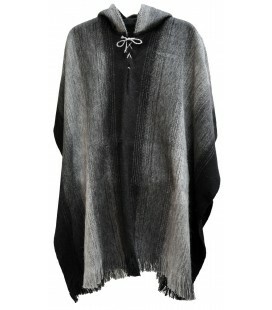 Lovely sweater/poncho made with pure alpaca fiber. 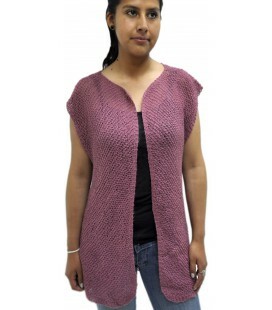 Although only available in one size, it fits all women from size S to XL. 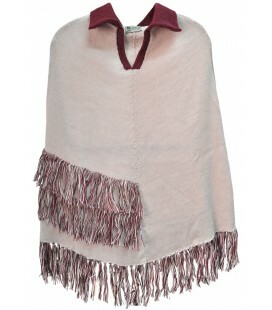 This sweater/poncho is 100% handcrafted and hand-knitted by Bolivian women. 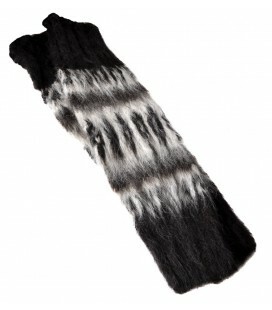 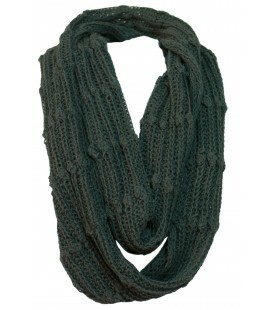 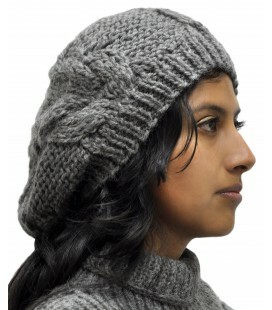 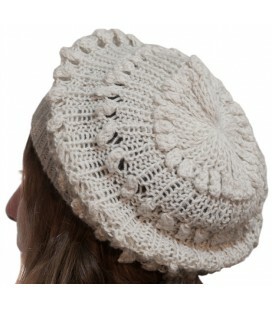 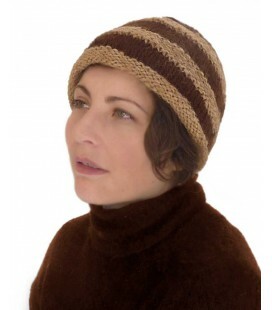 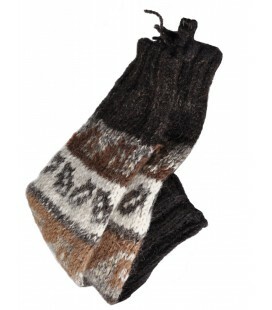 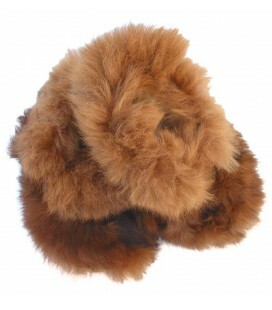 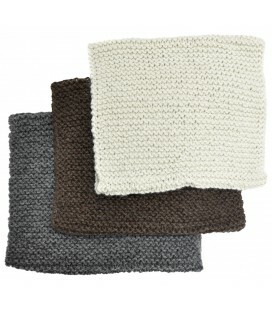 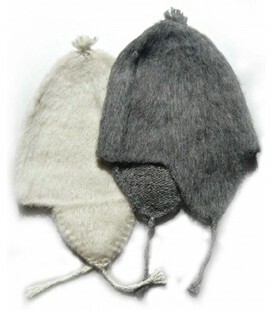 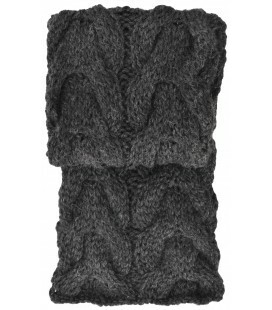 It is perfect for cold winter days and can be worn with any garment and color. 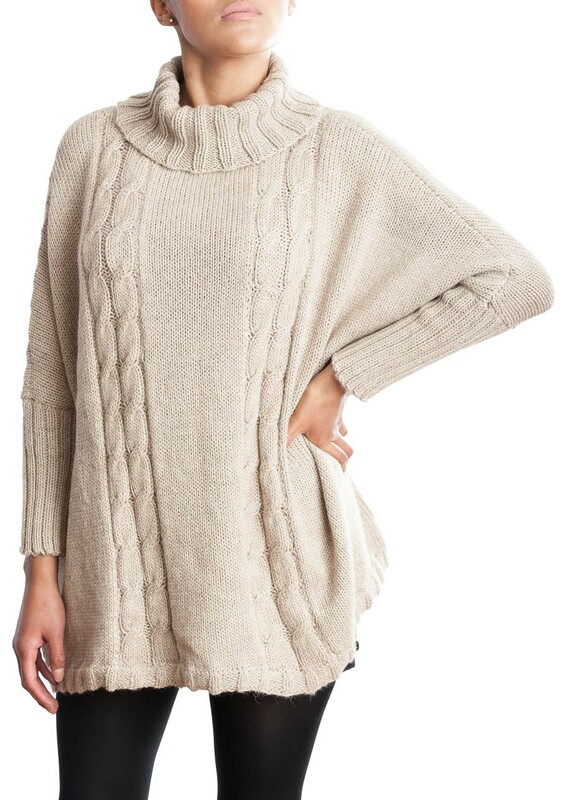 It feels wonderful and is very elegant. 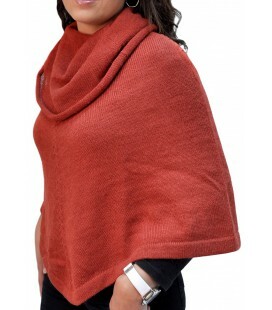 It has a high neck that can be arranged to your taste to protect you from the cold. 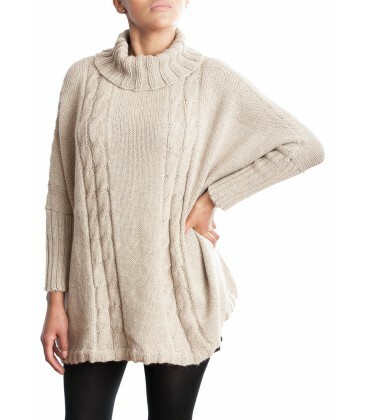 This comfortable, loose-fitting garment has cable accents on the sides. 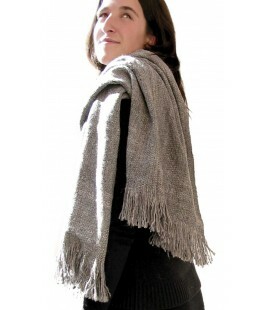 It is soft to the touch, and its design adapts to all body types. 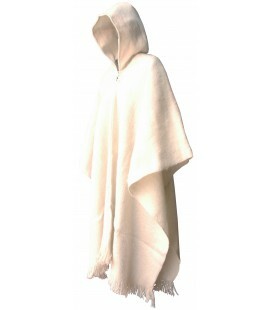 Without a doubt, a high quality sweater/poncho.